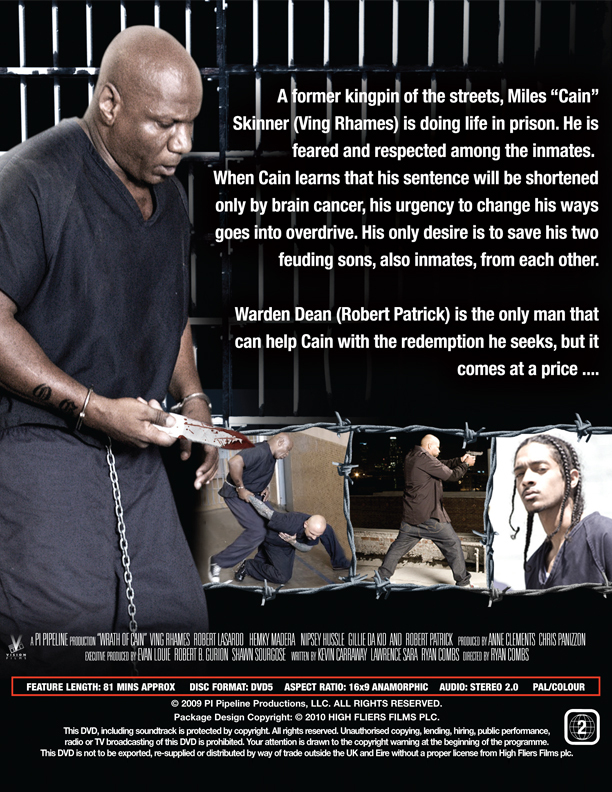 Former street kingpin Miles “Cain” Skinner (Ving Rhames) is doing life in prison. 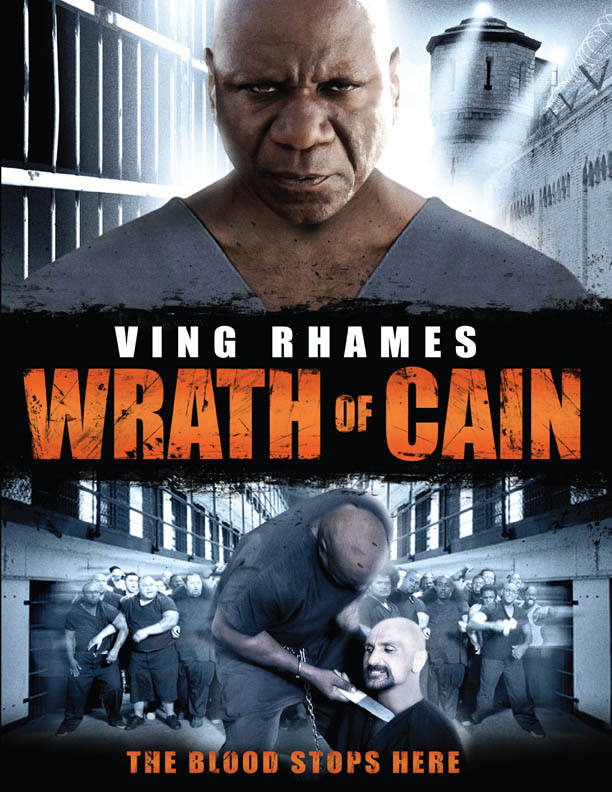 He is feared, yet respected among his fellow inmates, and when Cain’s nemesis, Redfoot (Robert LaSardo), is transferred to the same prison, his violent wrath is unleashed in a brutal showdown. Meanwhile, Cain’s son, Ricky Skinner (Nipsey Hussle), is a drug-slinging hustler who now finds himself in the same jail as his father, but wants nothing to do with him. As Cain struggles to gain his son’s trust while trying to protect him from another inmate, JD Parker, a past relationship resurfaces and Cain makes a shocking discovery about him. Cain soon learns that his time in the joint will be shortened only by brain cancer and his urgency to change his ways goes into overdrive. 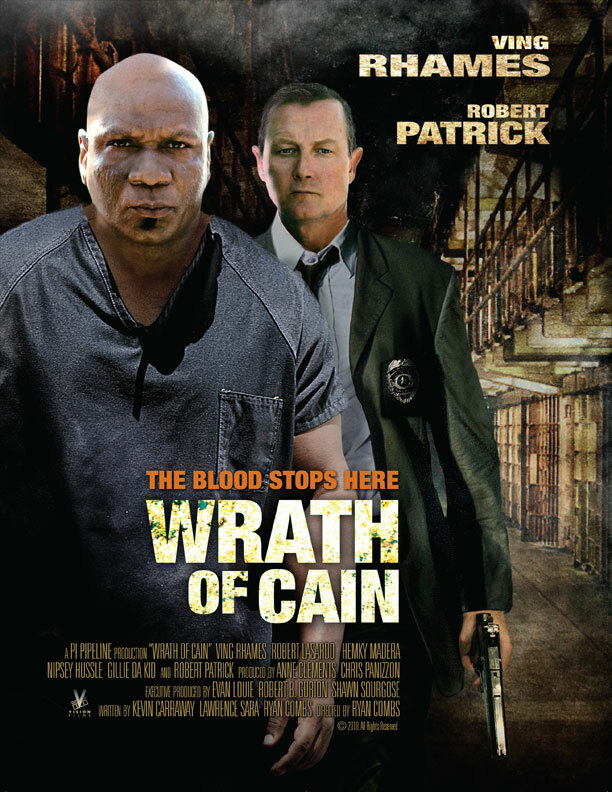 Warden Dean (Robert Patrick) is the only man that can help Cain with the redemption he seeks, but it will come with a price. Now Cain finds himself in the fight of his life to not only save his son Ricky, but to save the two feuding brothers from each other. As Ricky and JD’s warfare culminates in a final battle to the death, Cain has only one chance to finally put an end to this vicious cycle of violence.